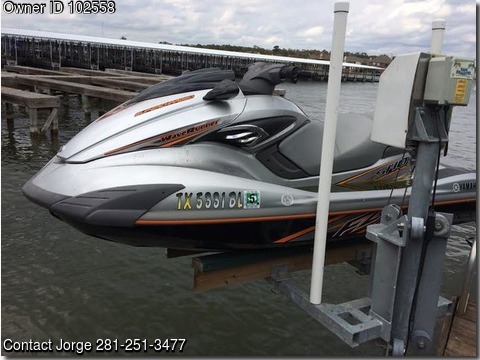 Please call owner Jorge at 281-251-3477. PWC located in Spring, Texas. Boat are 3 seaters,FZS is a supercharged 210hp. VX DEluxe is 110 hp. Both have recently been serviced. Each has a new cover.